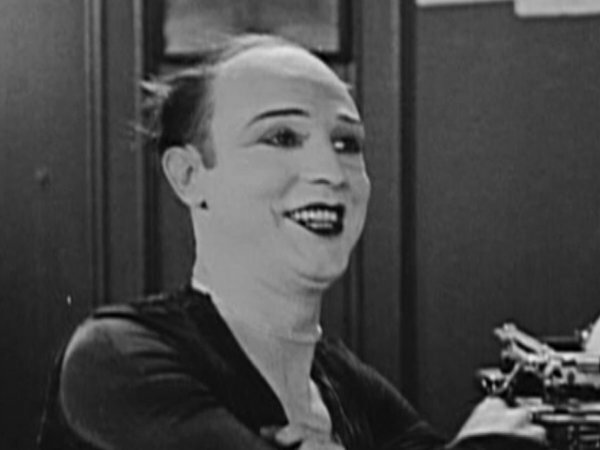 Brown-eyed American actor who specialized in playing female impersonators. In my opinion he was very convincing! His real surname was Cover. The "t" on the end could have been a spelling error by a family informant on a document. In 1944, he opened a popular photography studio "Kovert of Hollywood." One of his many photographers was Konstantine, of "Spartan of Hollywood." It is widely claimed that Kovert himself didn't actually take any photos (at least one photographer, Cecil "C.C." Hills, claimed this), and merely hired photographers to snap his work, but nonetheless, his studio was a pioneer of male physique photography, its specialty being photos of male nudes; not bodybuilders or "superman," but men with normal physiques and body hair intact. Photos of these nudes lined the walls of the store front on Melrose; as a result, Kovert was arrested, and his studio raided by the LAPD Vice Squad around 1945-46, going down in history as one of the earliest physique photographers to be "busted." Several years later, Kovert shot and killed himself. At least one source gives a birth date of 1901.
plus all films with Babe Hardy.